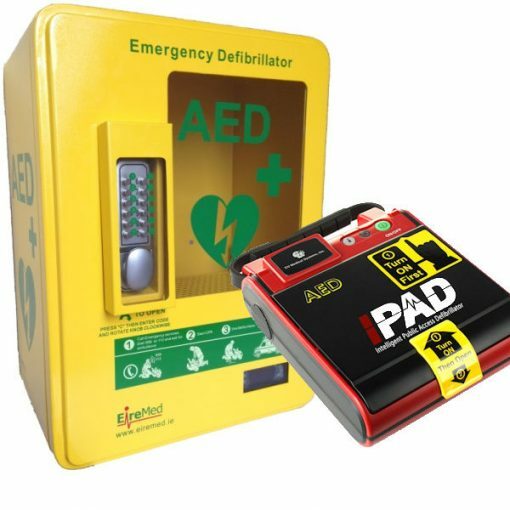 Mechanical Key Pad:Allows you to lock your AED cabinet if required and access it using the keypad. The lock does not require a power source. The lock is also recessed into the cabinet meaning that in very cold weather the heat from the heater prevents it from freezing. It is also covered preventing rain from falling on the locks digits and freezing. Digital Temperature Display:The Digital LCD screen is illuminated with the interior temperature of the cabinet displayed. 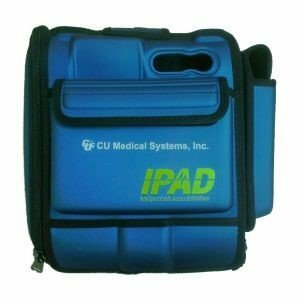 This gives you complete peace of mind that your Defibrillator is been stored at the correct temperature. Without this feature the user is unaware of the actual temperature inside their AED cabinet. 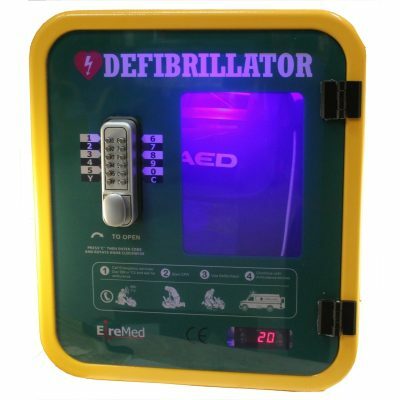 LED Lighting:A low power LED Light is located over the digital key pad guiding the rescuer to the lock and increasing the profile of the lifesaving equipment. Can be disconnected if required. 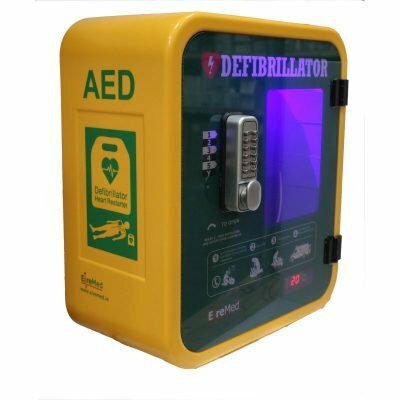 Power:Your AED cabinet operates from your mains 220v power. It is supplied with a UK 3 pin plug as standard. Your electrician will ensure that the cabinet is connected correctly to the mains power supply.